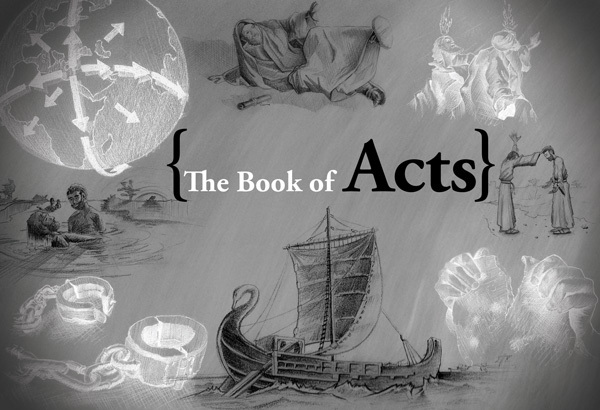 Create the title visual and a short promotional video to promote the sermon series on the book of Acts. I knew the direction I wanted to go with the Acts image from the start. I wanted to create a series of illustrations that where glimpses into the story of Acts. I wanted to create drawings in black and drawings in white and place them on a 50% gray background. I had the perfect photo in mind to start things off. 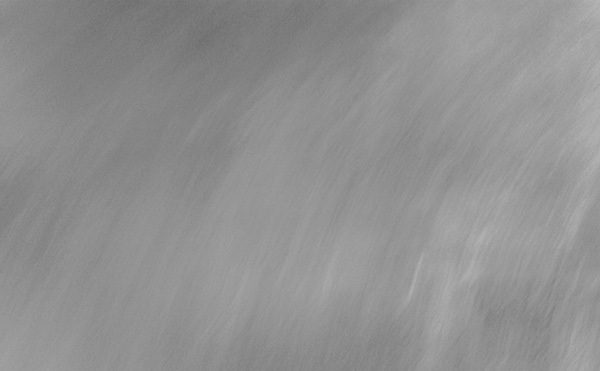 This photo was actually taken by accident with the camera on my cell phone. Inspiration can start anywhere! I am always taking photos and adding them to my collection. I never know what I will need or when I will need it. I drew 8 illustrations. 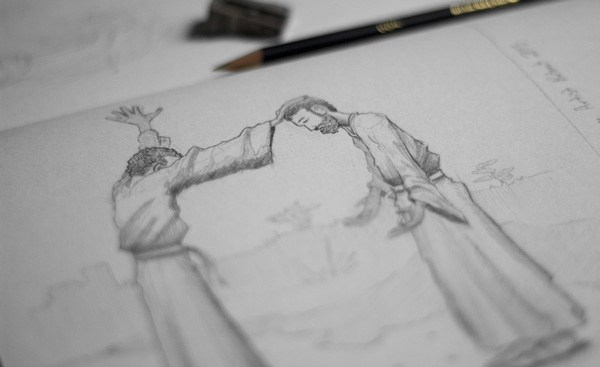 Each drawing was a snapshot into the story of Acts. The Drawing were done in pencil then scanned. 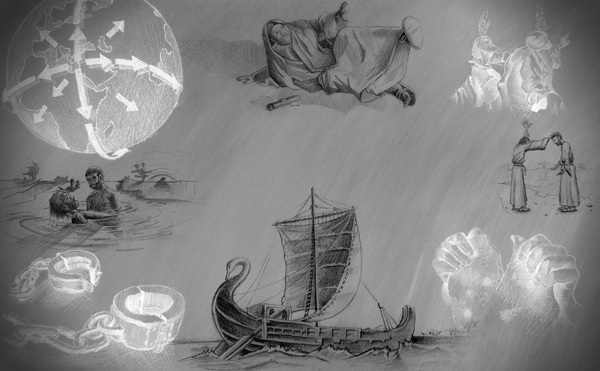 I added the illustrations to the background, some in black and some in white, positioning them around the perimeter. The title text is placed over the artwork. The video or motion graphic takes the snapshot idea a step further by moving through space and stopping at each individual image. At each image stop a caption is superimposed next to the illustration. The book of Acts is a journey. It involves a variety of different people and takes place throughout the whole Roman Empire. The video reflects this idea.